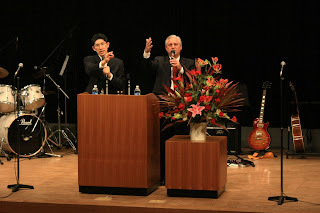 May started out with bang - Our Japan United Pentecostal Church General Conference was hosted here in Tokyo from May 4th to 6th. 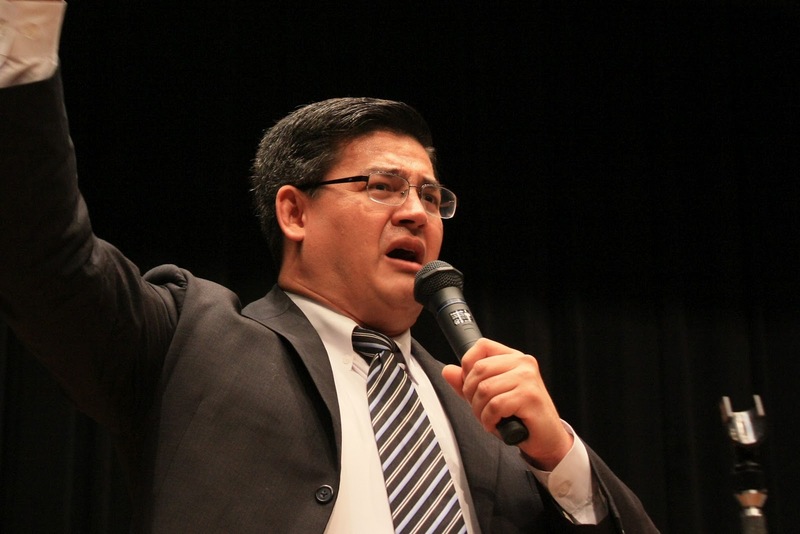 If we only had pre-service prayer led by Missionary David Doan, then we would have already been blessed. UPCI General Superintendent David Bernard was the main speaker of the conference, and the Lord used him to minister to all present. Two men from Haijima, Bro Ishibashi and Bro Arai were granted local license, and Bro Higan from Okinawa was promoted a general license. 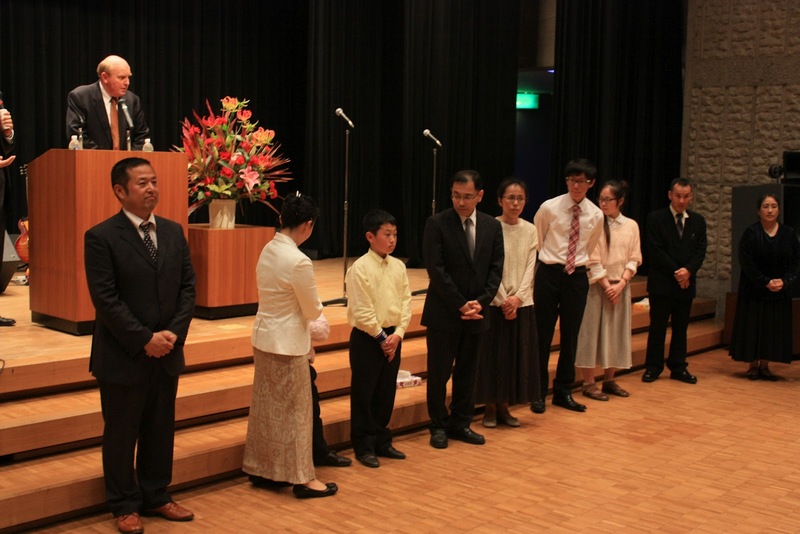 Later this month, it was shared with Haijima UPC that the Ishibashis will be moving to the tsunami-devastated area of Ishinomaki to begin a work as well as help Pastor & Sis Kon in Sendai. 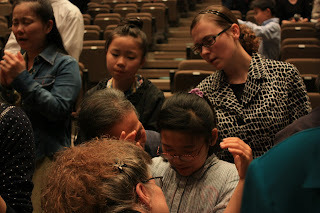 This is a tremendous sacrifice, but we know that the Lord has great plans in store for their ministry! We were also privileged to witness and pray with Bro Yokoyama and his family as he was ordained by Bro Bernard. Thank God for men & women who are willing to answer the call! 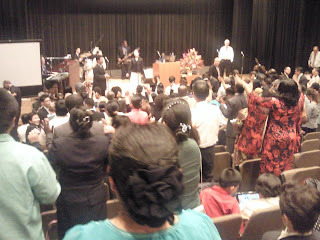 I was asked to be a part of the praise team that led the worship during the conference. As you can imagine, I was quite nervous, but the unity and flow of the Spirit was just wonderful. The altars were filled each night. At least 3 people were filled with the baptism of the Holy Ghost, one being an 11- year old boy from Haijima. At the conclusion of the conference, some of us single ladies were able to fellowship with others of like precious faith. The following Sunday, the 11-year old Chinese-Japanese boy was baptized in Jesus' name. Can't put a price tag on that! While the Lucases are in the USA for 2 weeks, I am filling in on the keyboard during worship service while the keyboard player plays the organ... and the Lord is continuing to move. 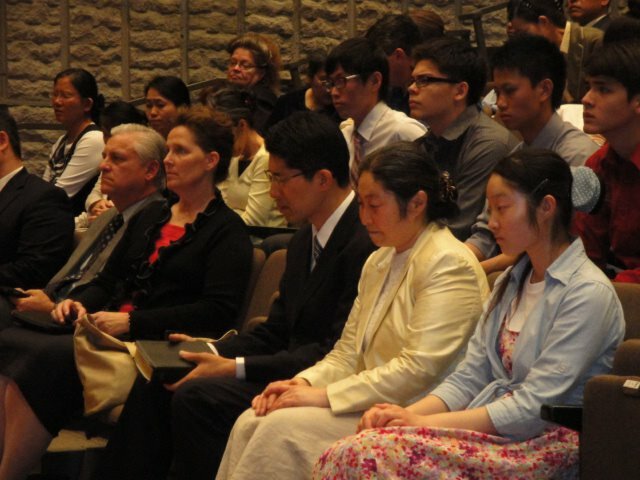 This past Sunday we had 2 ladies receive the Holy Ghost: Ono-san and Jin, my Korean-American friend (pictured below in blue shirt).